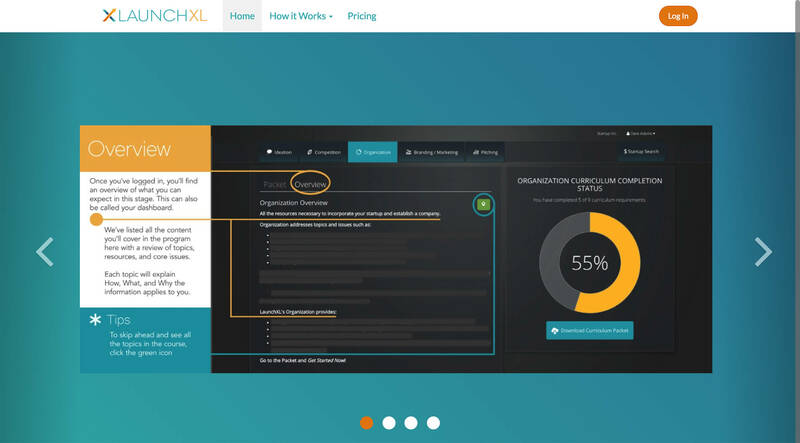 LaunchXL is a suite of tools that helps entrepreneurs turn concepts into startup ventures. Produced BY entrepreneurs FOR entrepreneurs, LaunchXL started out as nothing more than a concept itself. When the time came to bring the vision to fruition, Intellithought was up for the task. We developed a custom software application and a suite of tools that function according to LaunchXL’s intention. The tools are housed within a custom dashboard that allows users to upload documents, access external resources, and track their progress. The application is administrable, so its easy for LaunchXL personnel to track users and subscriptions, reset lost passwords, update existing or add new material to the dashboard, and more. The software is cloud-based, so users and admin can access it and their information from anywhere with internet access. The software is accessible through the LaunchXL website that was designed and launched at the same time as the software. The website allows new users to sign-up and pay for subscriptions, and the e-commerce section of the site is linked directly and securely to LaunchXL’s bank account so no manual payment management is required. The website also functions as an informational intro to the software. We designed a custom logo, color scheme, and website theme to represent LaunchXL. If you’re an entrepreneur, we highly recommend you check out this useful tool.